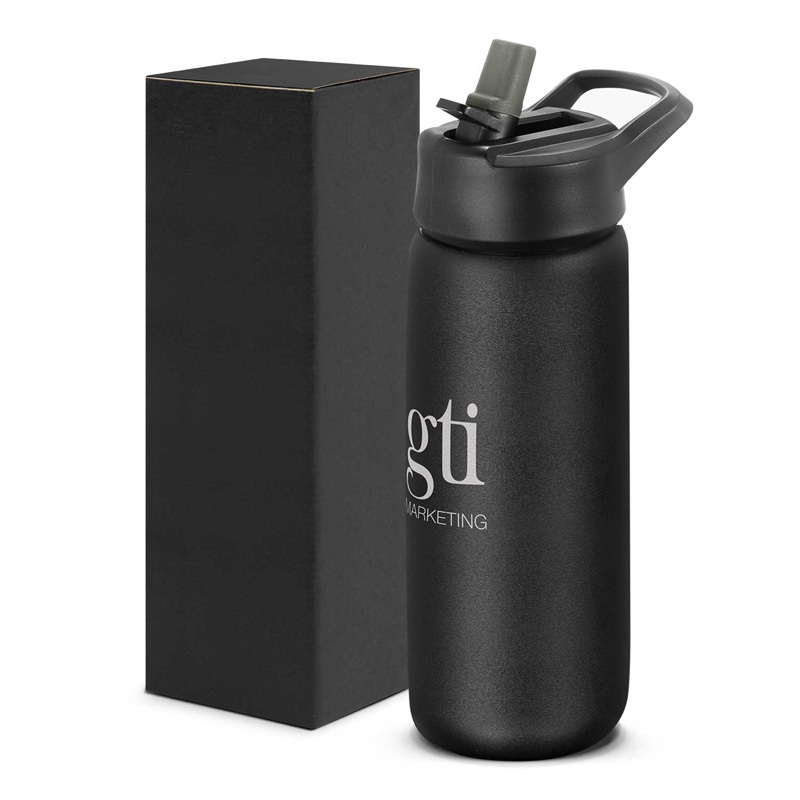 Desirable 700ml double wall, vacuum insulated stainless steel drink bottle which has a smart powder coated finish. 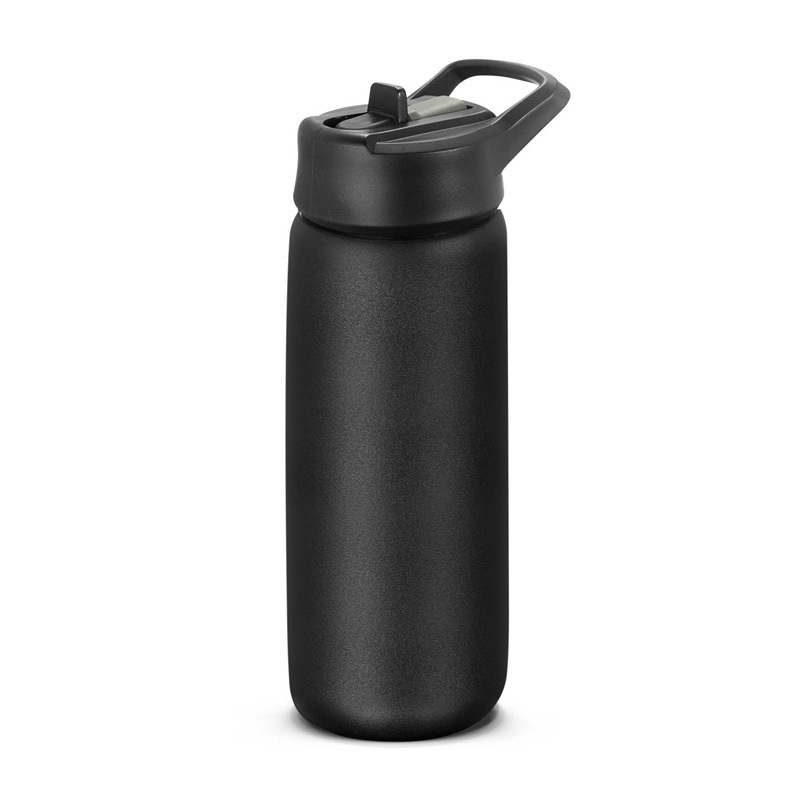 It offers exceptional performance and will keep drinks cold for 24 hours. Stealth has a wide opening with a secure flip valve lid which has a drinking straw, a convenient carry handle and a food grade silicone mouth piece which is removeable for cleaning. 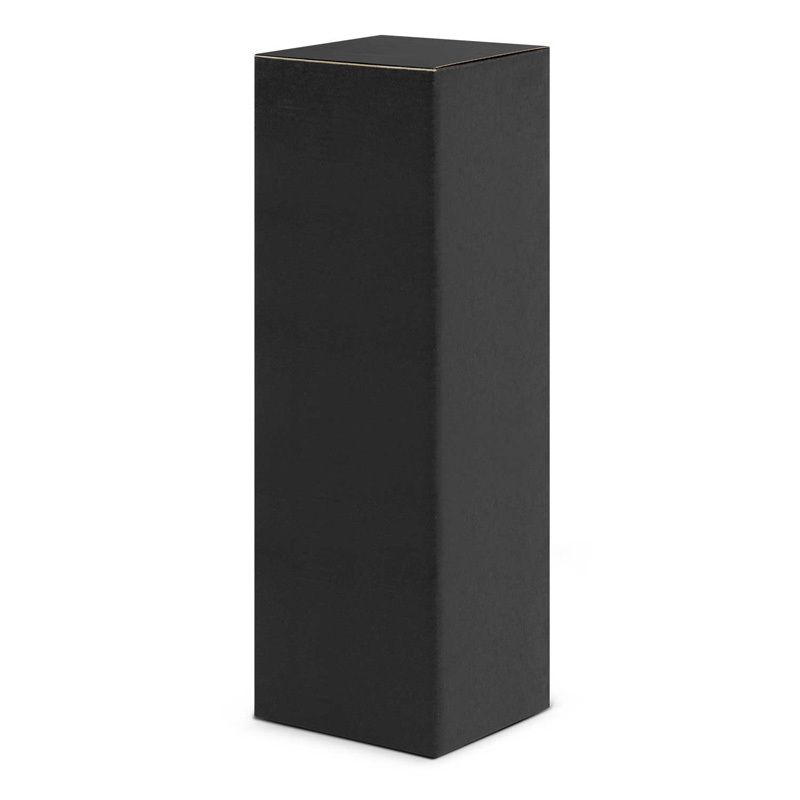 It is nicely presented in a black gift box and laser engraves to a stainless steel finish. It has an indefinite life span which keeps brands in the public arena for longer and also helps to limit the use of disposable plastic bottles that can end up polluting the environment. Screen Print: 215mm x 110mm (one colour).